Are you a dad that needs some help? 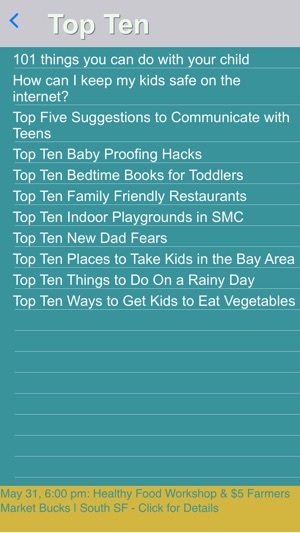 SMC DADS is an App designed to help dads in San Mateo County. 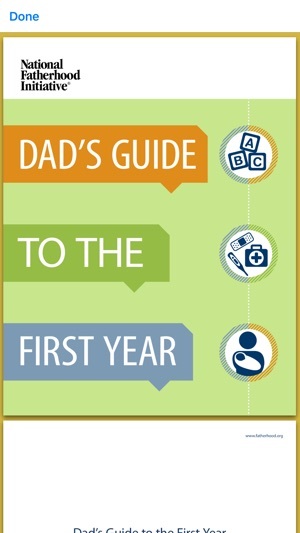 Features: Playground locator of all public playgrounds, Job Postings from the Job Information Centers, Handbooks for dads, Resources to county social services, Top Ten parenting advice for dads, and Event calendar of free or low cost community events. Great resources in a great UI! 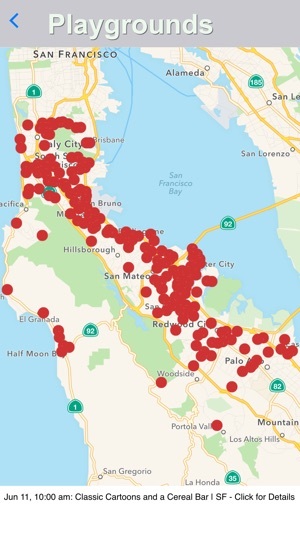 I found this app super helpful in finding available jobs, parks (including pictures and features) and even events near me (very cool to see events I hadn't even realized happen so close to home). 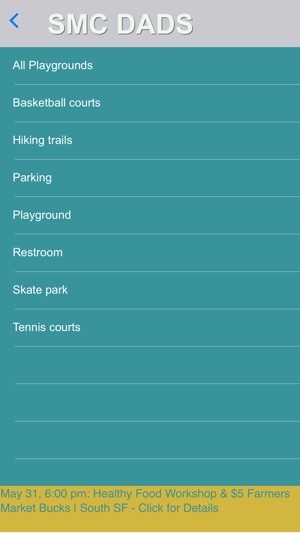 The app syncs directly to your GPS and adds events directly to Google Calendar w/ just a couple of clicks! This is a great app for dads, but could really be used by anybody. My friends who are and aren't parents who tried the app liked it. 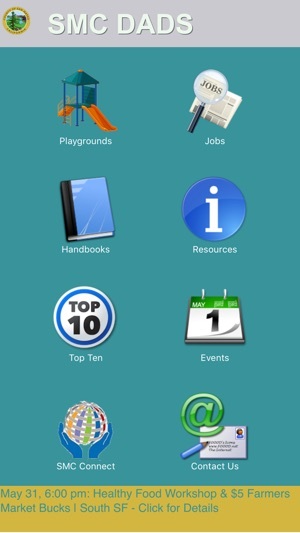 I've used this App for the playground locator and have discovered new playgrounds for my kids that I never knew existed.